We look forward to you joining or renewing your membership TODAY! Dues are: $25 – Local and $50 – National for a total of $75.00. Memberships are valid from July 1 – June 30. You can pay online or by mail, remitted to: Metro DC Chapter/NCCU Alumni Association, PO Box 1508, Washington, DC 20013. Ready to get active? Join the membership committee. Have you joined the NCCU Alumni Association? If not, then do so today! 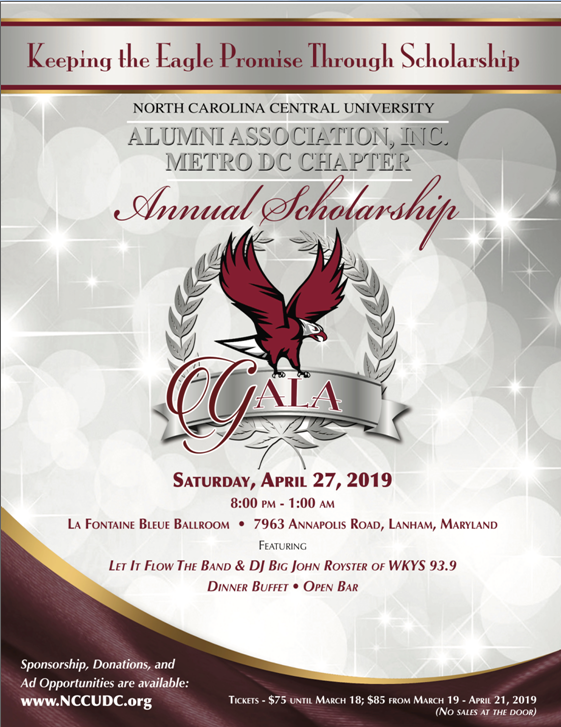 Become a member of the Metro DC Chapter and NCCU Alumni Association.